Count on the security of a professional service. Why is it when you’re fed up with dirty windows, you begin to dread calling around to get them cleaned? Perhaps you’re still dwelling on the memory of that time you hired the free-lancer who arrived late and left streaks, or even the “Bucket Bob” who made you wonder whether the job would get done at all. 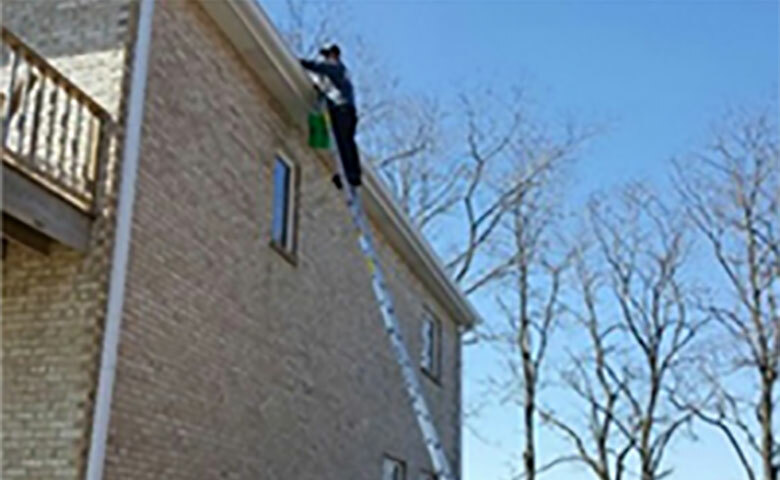 What if you could make just one call and get sparkling clean windows, chandeliers, skylights, ceiling fans even cleared gutters from uniformed professionals who do just what you expect, when you expect it? The trick is to call an experienced service staffed by reliable, fully insured professionals who make good communication with you a top priority. 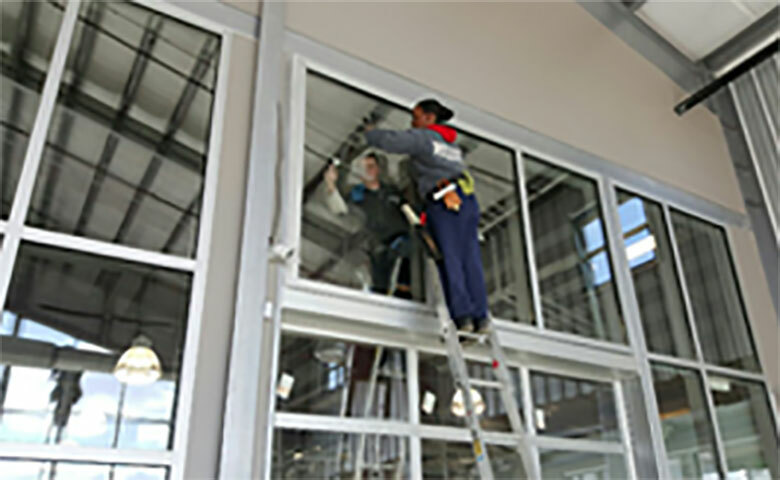 With Bren-Mark Window Cleaning you’ll feel comfortable that the job is being done correctly by people you can trust. We clear your gutters of debris and snake out the downspouts. The debris is bagged and removed from your property, not thrown all over your front porch. Special Offers to thank you for your continued business. We sincerely appreciate it! Check out Social Media for any additional deals. Outstanding, professional, friendly service. Fast, accurate and fair quotes. The employees have OUTSTANDING work ethic and attention to detail. 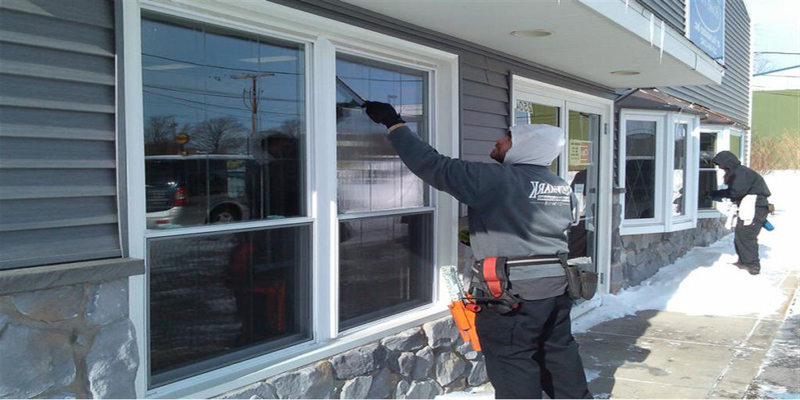 Having one company service windows and gutters is a fantastic combination! I can't recommend Bren-Mark highly enough! If you are looking for a company that has excellent customer service with professional cleaners who are courteous, and eager to please, then call Bren-Mark. You won't be disappointed. They have cleaned my windows for the last three years and the quality of service is consistent. 10 stars out of 10! Very satisfied! Will use your company again! 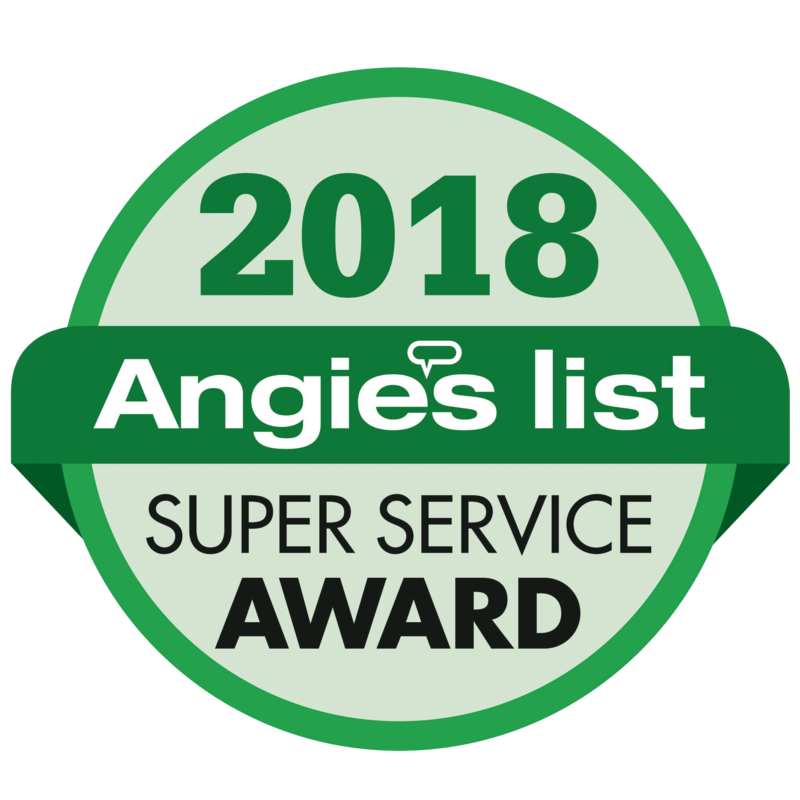 I used an Angie’s List coupon and got a great deal – they scheduled the service promptly and came and did a wonderful job. Cleaned out a very high gutter length of 40 feet. Installed new gutter guard. This company did a great job. My gutters had been very neglected…Since their schedule was very full, they told me that they were scheduling jobs between other jobs in order to service all orders. Nevertheless, my gutters were cleaned witin 2 days, which was sooner that I thought. Will definitely use them again! Melanie called gushing about Jen’s service; said she was so tickled with her…excellent service…talked, but not too much. Paid attention to her work and did a wonderful job. Windows are beautiful and sparkling! Jen was very professional and did a wonderful job! I would recomment your services to anyone. Thank you! I really do appreciate it! Great Job, Josh gets all 10’s! I have about 55 windows, some of them are very high. They have been doing work for me for 3 or 4 years. They do a good job. Aaron did a great job and was very polite! I’ve already recommended you to 2 of my friends! I will use your company again. The Cleaners did a great job! Everything went very quickly! Good Service, Quality of work is well done. Definitely would ask them to come back. Planning on having more work done during the summer, Service came promptly. Procedure was explained and estimated time of completion was discussed. I would easily hire Bren-Mark again. The woman who answered the phone was very helpful and pleasant. The estimator came the same day that I contacted them, and the cleaning took place the very next day. Extremely prompt and courteous! They did a fabulous job and it was greatly appreciated. Great company, helped us out in every way possible. Very quick to give an estimate, very courteous, and had several return phone calls. These are super people!! The other 'side' of the company, Gutter Gators, is the one who did the actual work. Very upfront, and very nice. Did a thorough job. Really recommend these people! Could not have been better. on time, good job, professional, did exactly what they said they would. Great! Fantastic! I’m so glad I found you! I will be recommending you to all of my friends!! They responded the same day that I requested service, promptly scheduled estimate, and they did an outstanding job. They did a great job cleaning my gutters on a high old house that I had a hard time finding anyone willing to do the job at a reaonable price. I highly recommend them. Excellent friendly workers. Did a very good job yesterday. They came and did it when they said they would. NANCY CALLED TO SAY HOW WONDERFUL JONATHON WAS. EVERYTHING WAS BEAUTIFUL. QUICK & EFFICIENT. LOVES THE PEOPLE WE SEND OUT. EVERYTHING WAS PERFECT! THE CLEANERS WERE PROFESSIONAL, CONGENIAL - MORE THAN I EXPECTED. I JUST WANTED TO LET YOU KNOW THAT THIS GENTLEMAN WAS WORTH WAITING FOR! HE WAS SO GOOD AND WONDERFUL! SO DETAILED AND WALKED ME THROUGH EVERYTHING AND WAS JUST SO WONDERFUL! HE IS SOMEONE YOU NEED TO KEEP AROUND!! THANK YOU!" They were excellent. Their work was very thorough. Will recommend highly! The day Bren-Mark came to our house for the cleaning it was extremely cold outside and the windows still tuned out great. The crew was very polite and professional. Very impressed with the service and the quality of work. They cleaned the gutters and informed me that the pitch was off in some sections. They proceeded to refer me to a highly recommended gutter company on possibly replacing sections of gutter. 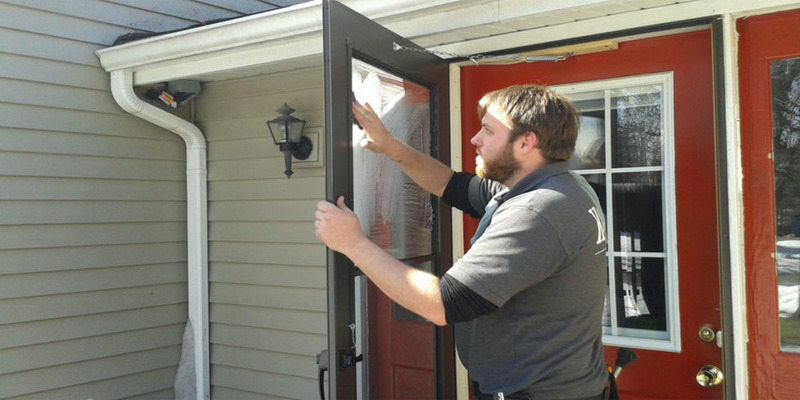 Bren-Mark is a very professional service and I plan on using them in Spring to clean my windows. Very satisfied with Walter's service. It rained that night but the windows still looked terrific! You guys are amazing! We are so glad you're coming every month! Many thanks for sending out Josh, Jen and CJ to do my service. They did a great job! Nice, friendly people, too! I am enjoying my clean windows, ceiling fans and mirrors! Everything looks brand new! Marcus went above and beyond the service – helped me remove some signs because I forgot and wasn't ready and I know that's not part of his job! Service is always good. New guy (Justin) was very nice & polite. Lori called to say what a wonderful job Walter did with the chandelier, and what a nice guy, too! Marcus did an excellent job. Very nice and friendly guy! Windows look fabulous! John is a kind, courteous worker. We have an awesome employee! Jenny called to say Marko is very thorough and efficient. Will recommend us to her friends. I have used Bren-Mark previously and was just as pleased with their work this time. They cleaned all my gutters as scheduled and left behind no mess. Great customer service and responsiveness. Cleaned all windows (exterior) on a 2-story home and cleaned the gutters of debris. Very well. I would have them come out again and clean the windows and if necessary, the gutters. Great job! Marlon did a great job (always) and he even came back to finish my gutter he had to take apart. He's great! You can say he is my new BFF! He will always be our guy!